Begoro (E/R), Oct. 28, GNA - Mr Gyimah Aikins Nyantakyi, Parliamentary Candidate of the Convention People's Party (CPP) for Fanteakwa, has called on the electorate not to vote the ruling New Patriotic Party (NPP) and the main opposition National Democratic Congress (NDC) into power, since they had nothing new to offer. Addressing a political rally at Begoro and Bosuso on Wednesday, he said even though the CPP was optimistic of victory, the supporters needed to work extra hard. The Eastern Regional Chairman of the Party, Nana Owusu Sekyere said out of the 28 seats in the Region, the CPP fielded 23 parliamentary candidates. The Fanteakwa Constituency Chairman of the CPP, Mr Isaac Amponsah expressed optimism that the position of the Party on the bottom of the ballot paper indicated that it had won the December 7 polls in advance. 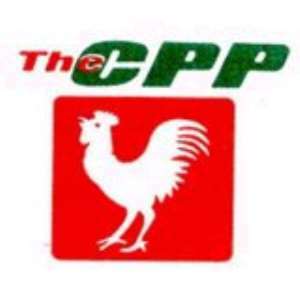 He said the CPP was the only Party, which had the welfare of the poor at heart.